Here is a special posting, a review written by frequent guest critic and writer for this blog, John W. Barker. Barker (below) is an emeritus professor of Medieval history at the University of Wisconsin-Madison. He also is a well-known classical music critic who writes for Isthmus and the American Record Guide, and who hosts an early music show once a month on Sunday morning on WORT-FM 89.9. For years, he served on the Board of Advisors for the Madison Early Music Festival and frequently gives pre-concert lectures in Madison. He also took the performance photos. 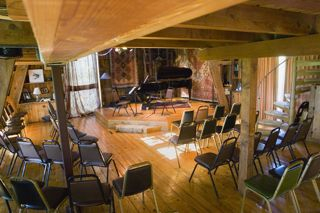 The third and final program of this summer’s 29th Token Creek Chamber Music Festival, held in a refurbished barn (below) was given on last Saturday afternoon, when I caught it, and then was repeated the following day. There were adjustments down to the wire, as co-director John Harbison noted in his opening comments. 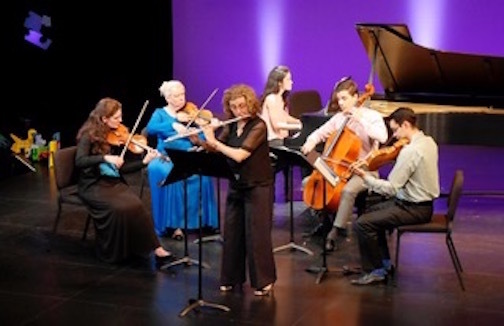 The originally planned opening piece, Mozart’s Sonata in G Major, K. 301, for Violin and Piano, was cancelled, and the program actually began with Haydn’s Piano Sonata in E Major (H. XVI:22). Harbison (below) played this himself, having observed that, if not noteworthy, it was representative of its kind. In fact, it is a worthy work, its third and final movement is a little set of delightful variations on a minuet tune. Harbison obviously loves this whole Haydn literature, and he played the piece with affection. 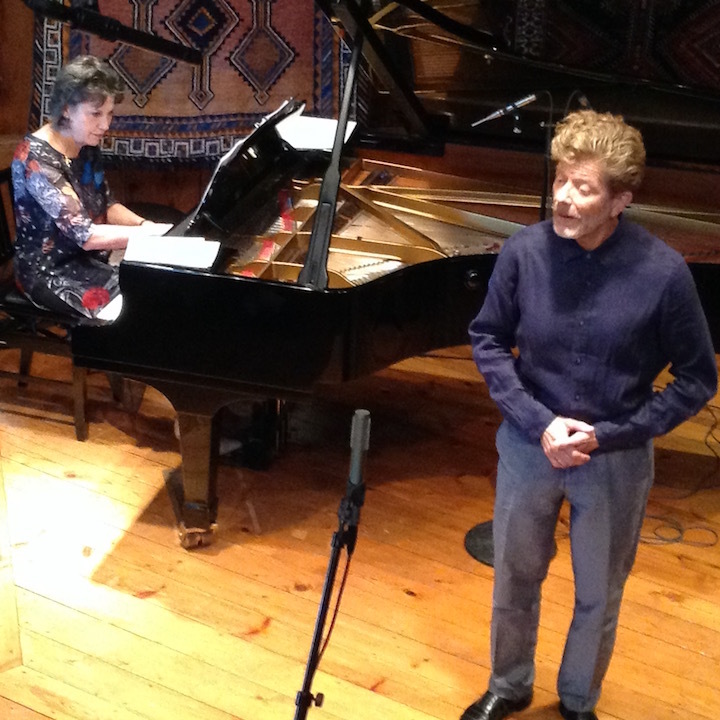 Then it was vocal music, sung by tenor Frank Kelley — who has worked with Harbison in the Emmanuel Music activities in Boston — with pianist Janice Weber. 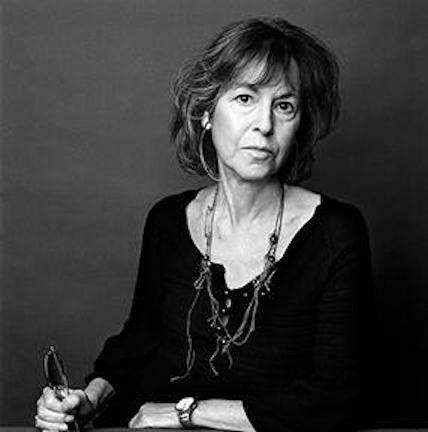 Their first offering was the world premiere of a cycle-in-progress by Harbison, titled In Early Evening, to texts by poet Louise Glück (below): specifically, of its first three songs. The texts are dreamy and nostalgic, and the composer has attempted to capture their multi-layered implications. 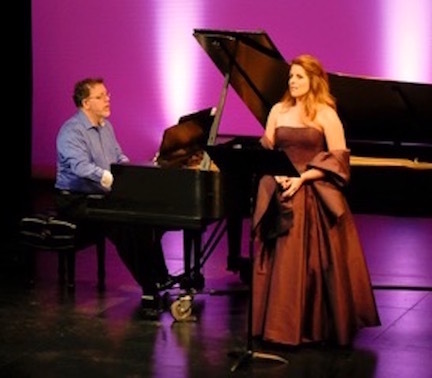 The two performers (below) then completed the concert’s first half with a presentation of the complete 16 songs of the cycle Dichterliebe (A Poet’s Love) by Robert Schumann. This sets the reflections on failed love, written by the great German poet Heinrich Heine. Kelley is not an ingratiating singer. His voice sounds raw and worn. Nevertheless, he has splendid diction, in both English and German. He sounded much more confident and secure in the magnificent Schumann cycle, which he sang without a score. In this music he conveyed the varying moods and emotions with genuine engagement and expression. But pianist Janice Weber (below) proved a real discovery. 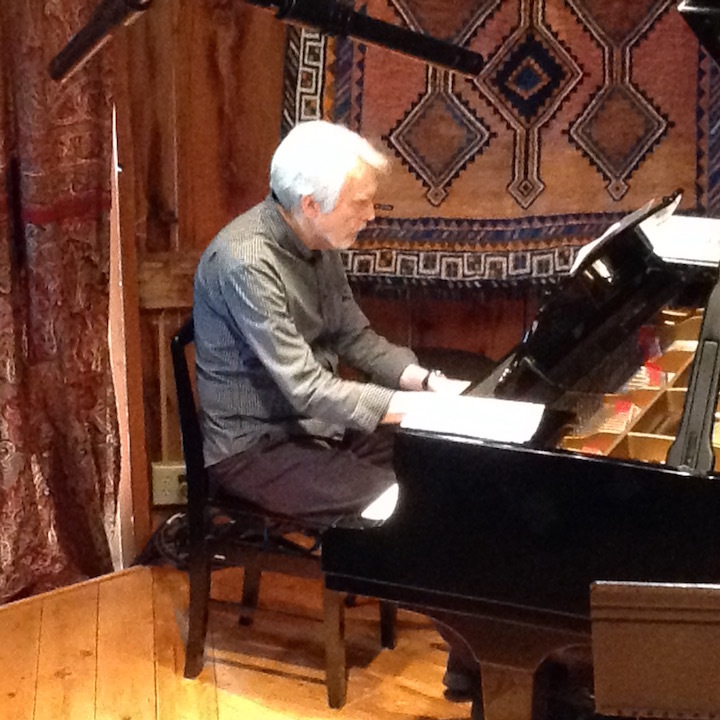 In his program notes, Harbison rightly pointed out that Schumann’s piano writing was not so much accompaniment as individualized piano writing with its own character and even independence. Indeed, the final song of the Heine cycle ends, after the voice is finished, with a substantial little epilogue of reflection for the piano alone. 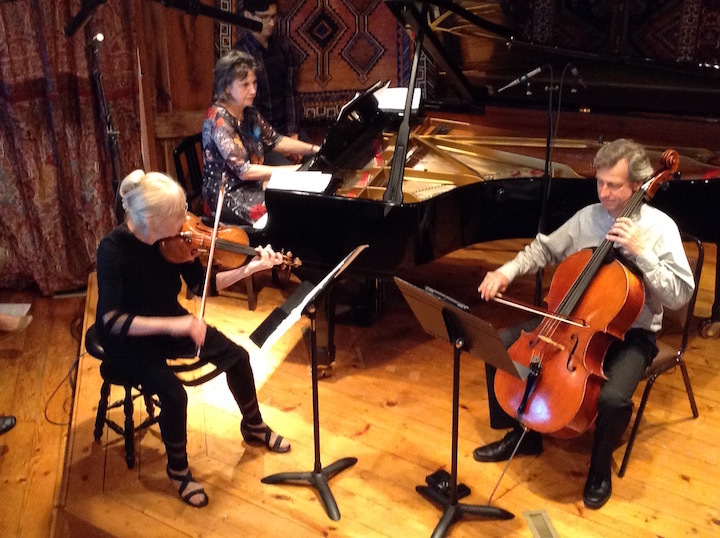 Weber projected that very strong piano dimension wonderfully, and she repeated the feat when, for the program’s second half, she was joined in Schumann’s Piano Trio No. 1 in D minor, Op. 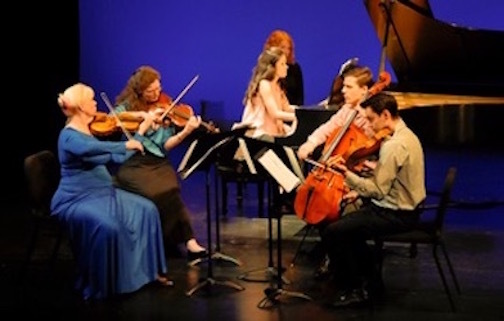 63, by violinist and Festival co-founder Rose Mary Harbison and cellist Karl Lavine. But I found the ensemble not well balanced. Lavine was surprisingly mild, deferential and understated in his playing. But Weber provided the sturdy backbone of the performance. We should hear more of this splendid artist. 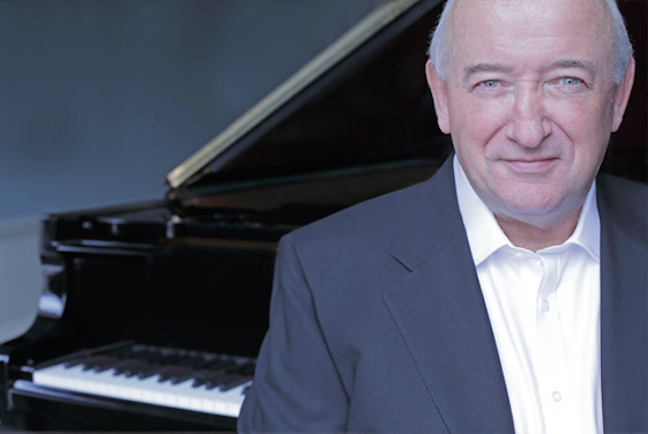 Classical music: Irish pianist John O’Conor charms and excels in solo works by Haydn, Schubert, Beethoven and John Field. 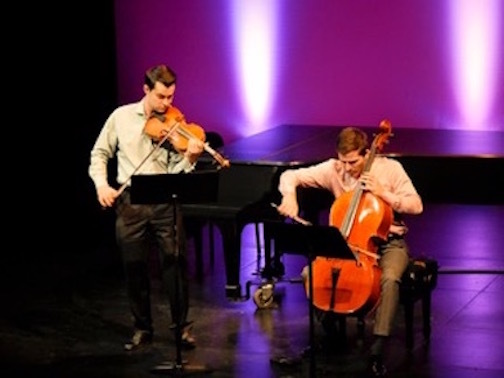 Ancora String Quartet plays Nielsen and Debussy Friday night. Here is a special posting, a review written by frequent guest critic and writer for this blog, John W. Barker. Barker (below) is an emeritus professor of Medieval history at the University of Wisconsin-Madison. He also is a well-known classical music critic who writes for Isthmusand the American Record Guide, and who hosts an early music show once a month on Sunday morning on WORT FM 89.9 FM. For years, he served on the Board of Advisors for the Madison Early Music Festival and frequently gives pre-concert lectures in Madison. 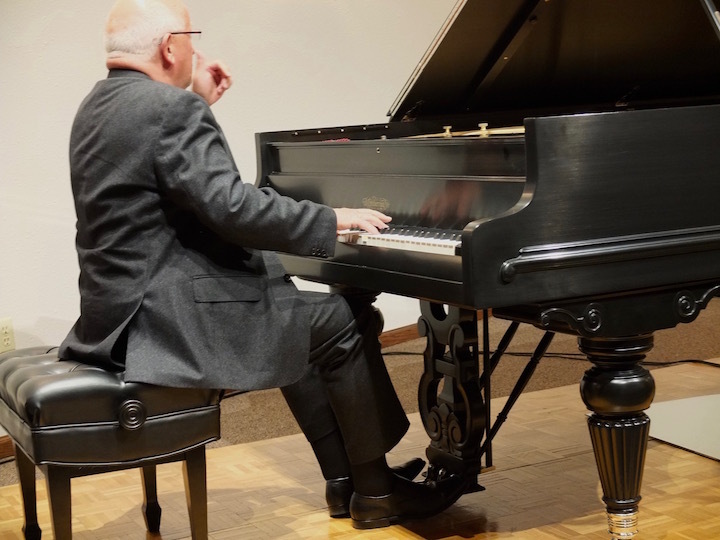 Lovers of piano music were given a special treat this past weekend — a double-header, allowing access to two different dimensions of one of the important pianists of our time. 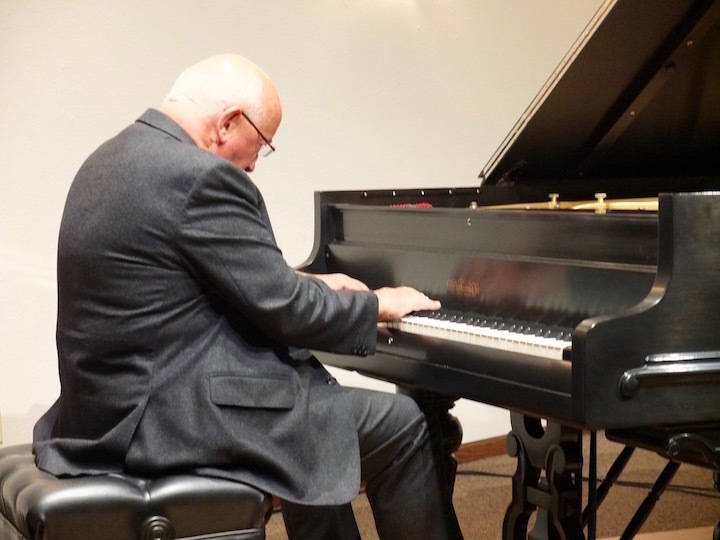 John O’Conor (below), the Irish pianist, appeared on Friday evening with the Wisconsin Chamber Orchestra (WCO), presenting a stimulating performance of the Piano Concerto No. 3 by Ludwig van Beethoven. Then, the following evening, at the Salon Piano Series at Farley’s House of Pianos, O’Conor gave a solo recital that showed the more personalized aspects of his art. O’Conor concentrates particularly on the early Romantics in both his performing and recording activities, and from such concentrations was the recital program derived. He began it with a reach back to an early favorite, Franz Joseph Haydn, in the Sonata No. 32 in B minor. In this work from 1776 O’Conor could find hints of the Romantic spirit to come — in a composer usually more identified with High Classicism. The pianist was more fully in his own comfort zone, however, with the four Impromptus that make up the Op. 90 (D. 899) by Franz Schubert. Dating from 1827, the composer’s last year, these are simply marvelous gems, and they made me realize that part of their delightfulness is what differentiates them from Schubert’s larger-scale piano works (sonatas,a fantasy, etc.). The latter correspond to his efforts at music of grand scope and structure, as in the string quartets and symphonies, whereas the shorter piano pieces correspond to Schubert’s Lieder, or art songs, in their greater directness and intimacy. O’Conor played them with conviction and affection. After the intermission came music by two composers with whom O’Conor has his most-established affinity. 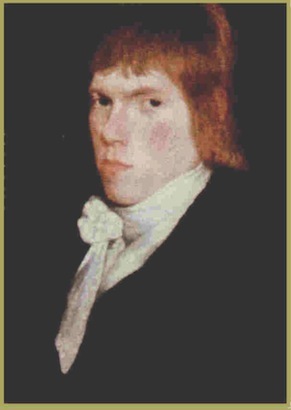 He has been the outstanding and crucial champion in the revival of interest in the piano music — both concertos and the pace-setting nocturnes — by John Field (1782-1837, below), the Irish pianist and composer who is recognized now as an important forerunner to Chopin. Beethoven’s music is O’Conor’s other speciality. He has recorded all of the sonatas and the concertos, among other things. For this program, he performed the Sonata No. 14 in C-sharp minor (1801), a work nowadays cursed by the nickname given its first movement, “Moonlight.” He reminded us that the other two movements are the more fascinating and important ones. As an encore, he suggested the John Field connection with one of Chopin’s own nocturnes. 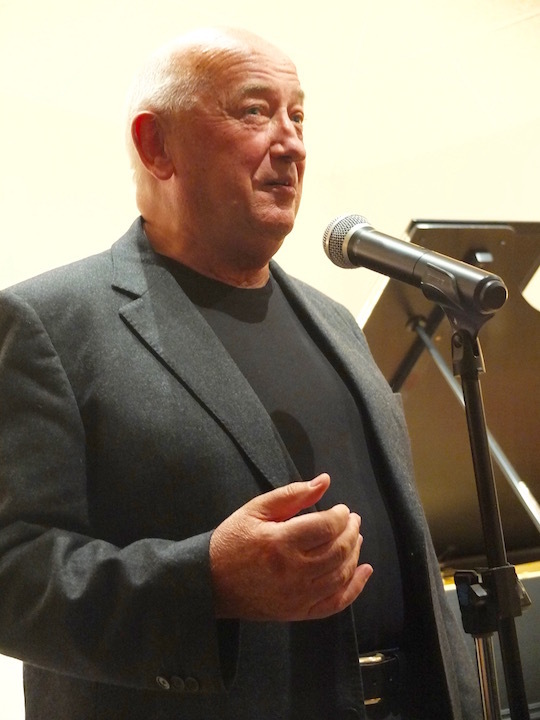 Before each half of the program, the pianist gave his own comments, on both personal and analytical matters, and laced with his delightful Irish charm. 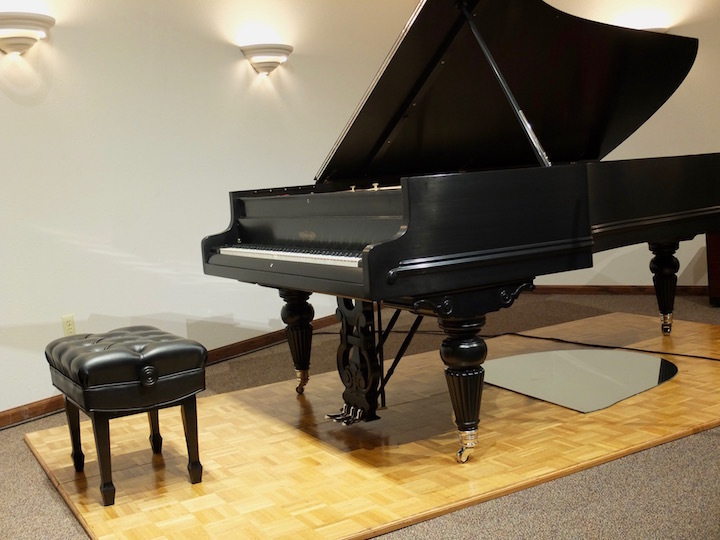 O’Conor performed on the amazing 1906 Chickering concert grand piano that Tim Farley has so lovingly restored. The post-recital conversation I had with O’Conor suggested that he had had too little time to adjust to the very remarkable individualities of the instrument. We may hope that he will return to Madison to fill out that acquaintance. 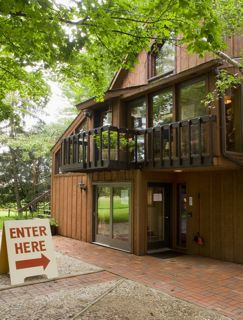 And we hope for more examples of the fruitful cooperation between the WCO and Farley’s in jointly bringing so fine a performer as this to the Madison scene.